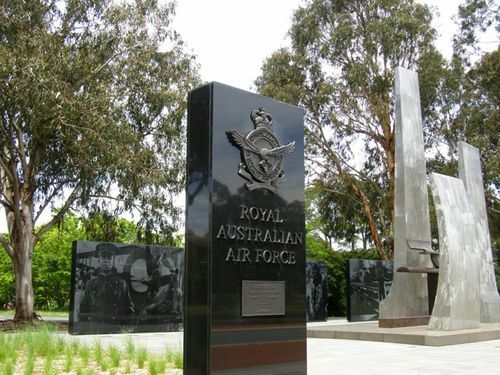 A monument commemorates those who have served in the Royal Australian Air Force throughout its history. 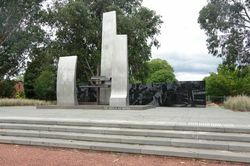 The monument constructed on Anzac Parade in Canberra was unveiled in 1973 by His Royal Highness The Prince Philip, Duke of Edinburgh. 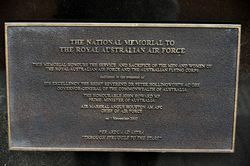 The Prince wore the uniform appropriate to his position as Marshal of the Royal Australian Air Force as he delivered an address to 900 official guests, paying tribute to Air Force's 50 year history since its formation in 1921. 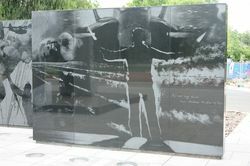 The memorial’s central sculpture, consisting of stainless steel vertical wing shapes symbolic of flight, was the work of Mrs Inge King who won a design competition in 1970. 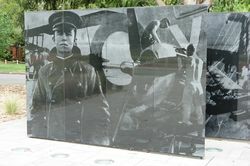 Following dedication by chaplains, a flypast by Mirage fighters of No 77 Squadron completed the ceremony. 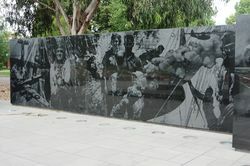 The memorial was redeveloped and rededicated on Friday 1 November 2002. 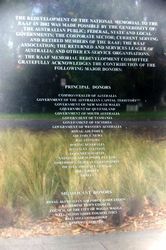 Preceded in World War One by the Australian Flying Corps, which served on the Western Front and in the Middle East, the Royal Australian Air Force came into existence on 31 March 1921. 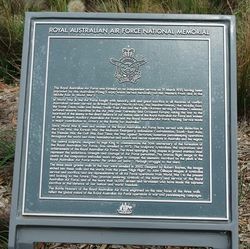 Expanded dramatically during World War Two, the Royal Australian Air Force served first in the Middle East and in Britain. Australian squadrons in the European theatre suffering very heavy casualties. 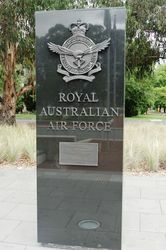 The Royal Australian Air Force contributed significantly to victory in the Pacific War,and also made major contributions to the Australian effort in the Malayan, Korean and Vietnam conflicts. `Through struggle to the stars`.